Losslessly remove DRM encryption from iTunes movie rentals and purchases. TunesKit DRM M4V Converter for Windows 2.8.5 was available as a giveaway on January 29, 2017! TunesKit DRM M4V Converter for Windows is specially designed to losslessly remove DRM encryption from iTunes movie rentals and purchases, TV shows, and music videos by converting the protected M4V video files to common MP4 with original quality preserved, including AC3 5.1 surround sound, closed captions, subtitles, etc at 30X faster speed. 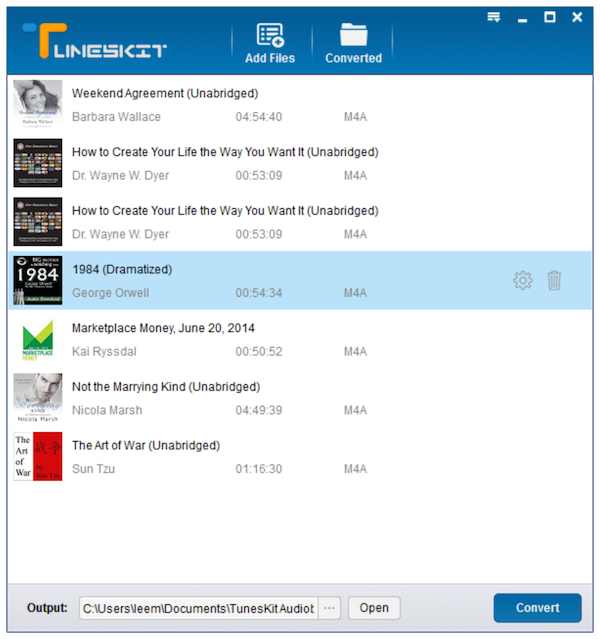 With the help of TunesKit, you can easily and freely enjoy any iTunes video on any media player and device as you like. How would you improve TunesKit DRM M4V Converter for Windows 2.8.5? 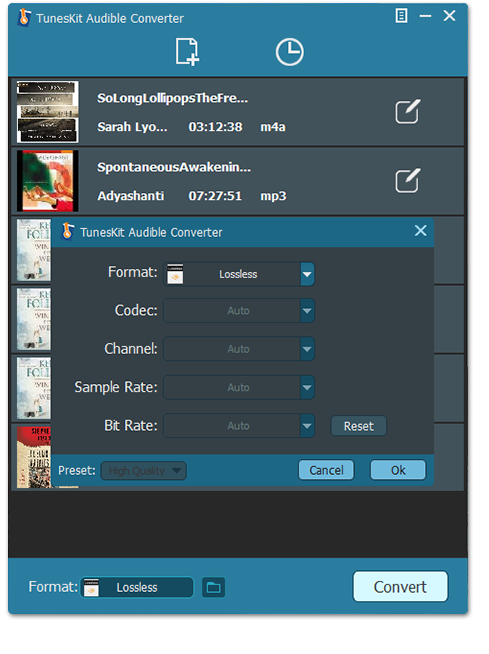 Losslessly remove DRM from Audible audiobooks by converting AA, AAX books to DRM-free MP3, M4A, AAC, WAV, FLAC, etc. with chapters and ID tags preserved at up to 100X faster speed. 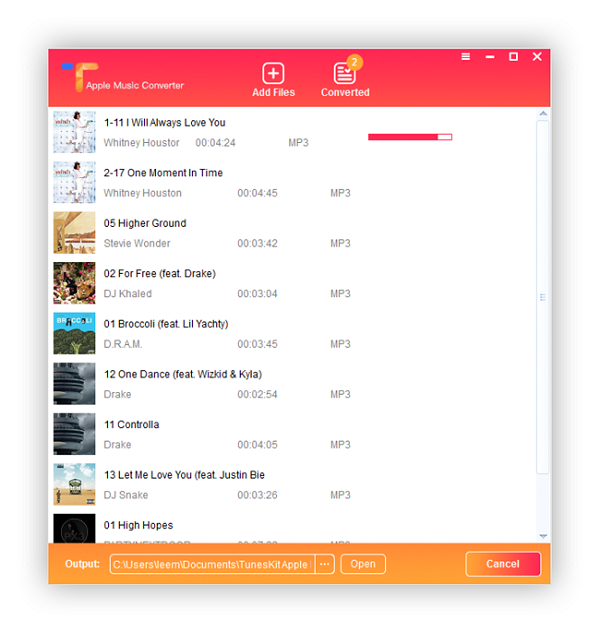 Bypass DRM from downloaded Apple Music songs and convert M4P files to MP3, AAC, WAV, etc. with ID tags kept so that you can transfer the Apple Music tracks to non-Apple devices and access to the songs even if you unsubscribe the service. 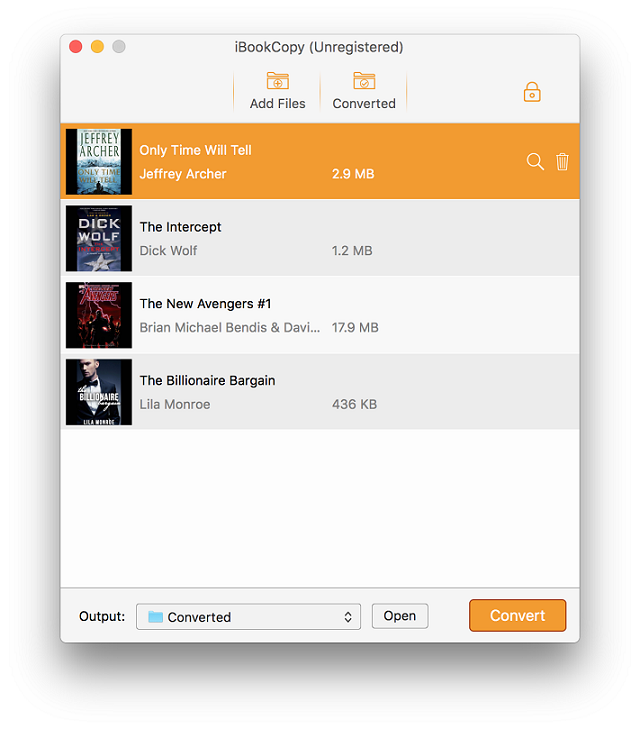 Convert iTunes and Audible audiobooks from AA, AAX, M4A, M4B to unprotected formats so that you can enjoy all your audiobooks on any media player as you like. The unique iBooks DRM removal tool to get rid of DRM from .epub and .ibooks files purchased from iBooks store. Once the DRM is removed, you can transfer the DRM-free eBooks to Kindle or other non-Apple eReaders for reading. Just came to download and found the offer had expired. Am I wrong in thinking that GOTD offers last 24 hours? My offer mails hit my mailbox around 11:10 to 11:15 (GMT) each morning. When I clicked the link for yesterday's offer at 08:15 this morning it shows as expired and being on offer on Jan 29th. I can remember taking advantage of offers the following morning on more than one occasion but perhaps something has changed. Can anyone comment? Just came to download and found the offer had expired. Am I wrong in thinking that GOTD offers last 24 hours? My offer mails hit my mailbox around 11:10 to 11:15 (GMT) each morning. When I clicked the link for yesterday's offer at 08:15 this morning it shows as expired and being on offer on Jan 29th. I can remember taking advantage of offers the following morning on more than one occasion but perhaps something has changed. Can anyone comment? After input of the license key, it shows registration information is invalid. They need email address as well. Any solution of help can be rendered. I can I can not activate it. It's impossible write the serial and email. Bozeke, should the GOTD-program be faster? Your solution will take the whole playtime. But it will do the trick. Bozeke, should the GOTD-program be faster? Your solution will take the whole playtime. But it will do the trick. While starting the install, It tells me that the required priviledge is not held by the client. Say what? I'm the administrator! After installing, message comes up that says "iTune not installed." I dropped a m4v file in and clicked on Convert but nothing happened. I used to have iTunes until I upgraded to Windows 10, now I am unable to reinstall it. After installing, message comes up that says "iTune not installed." I dropped a m4v file in and clicked on Convert but nothing happened. I used to have iTunes until I upgraded to Windows 10, now I am unable to reinstall it. Any suggestions? Don Carter, Most such DRM removers I have seen need I-Tunes installed to work. The fix is usually to just install I-Tunes, put your media files in the appropriate Apple folder ('media' I think) and run the DRM remover. I don't like I-Tunes because it hogs too much of the PC resources, but you can uninstall all Apple software after you have processed the files. Don Carter, Most such DRM removers I have seen need I-Tunes installed to work. The fix is usually to just install I-Tunes, put your media files in the appropriate Apple folder ('media' I think) and run the DRM remover. I don't like I-Tunes because it hogs too much of the PC resources, but you can uninstall all Apple software after you have processed the files. Don Carter, Why are you unable to install iTunes? Don't know. It does install, but gives error message upon trying to start that says "iTunes not installed correctly. Please reinstall. Error 7 (Windows error 193) I have tried on several occasions to reinstall but with same results. Bill Freeman, Don't know. It does install, but gives error message upon trying to start that says "iTunes not installed correctly. Please reinstall. Error 7 (Windows error 193) I have tried on several occasions to reinstall but with same results. I can not activate it, once I try to launch it give error message, "stop working"
Does this strike anybody other than me as unethical? Sure, you can make a (lame) argument for stripping DRM from what you own (or borrow - who'll know?) but one can't claim to own the rights to a rental. Gives new meaning to the expression, "Rent to own". Does this strike anybody other than me as unethical? Sure, you can make a (lame) argument for stripping DRM from what you own (or borrow - who'll know?) but one can't claim to own the rights to a rental. Gives new meaning to the expression, "Rent to own". Installed and registered flawlessly. Thanks. mick oneill, Apple will not allow it to remove the DRM encryption. mick oneill, Mac comes from Apple! mick oneill, M4V is a video file extension that is used by videos downloaded from the Apple iTunes video store. Because these files are proprietary, they are often not compatible with non-Apple products. You can, however, easily convert M4V files to MP4 files if you have the right software for the conversion. Explore the world of Mac. Check out the new MacBook Pro, MacBook, iMac, and more. Visit the Apple site to learn, buy, and get support. mick oneill, M4V is a video file extension that is used by videos downloaded from the Apple iTunes video store. Because these files are proprietary, they are often not compatible with non-Apple products. You can, however, easily convert M4V files to MP4 files if you have the right software for the conversion. Explore the world of Mac. Check out the new MacBook Pro, MacBook, iMac, and more. Visit the Apple site to learn, buy, and get support. mick oneill, Mac comes from Apple and Aplle will not allow it to remove the DRM encription on his i-tunes.